8 Nelson R. New AAP Policy on Patient Dismissal for Vaccine Refusal May "Erode Solidarity" Among Pediatricians. Infectious Disease Advisor May 24, 2018. 19 Berezow A. Jail 'anti-vax" parents . USA Today Jan. 28, 2015. 27 Fisher BL. Why is Informed Consent to Vaccination a Human Right? National Vaccine Information Center June 28, 2018. Nice piece, Barbara. I think it also would have been helpful to add that pediatricians have little to no medical training in vaccine reactions or safety and that they are financially incentivized to give as many vaccines as possible through insurance bonuses and the need to recover the cost of their inventories. I've found that these two points are key to shaking the pedestal upon which pediatricians are typically set by parents. in 1973 my daughter was given the MMR vaccination and 48 hours later suffered a major stroke. The foremost pediatric neurologist in my city at the time told me my daughter would be totally paralyzed on her right side and nothing could be done about it. If I couldn't deal with that he suggested I put her in an institution. I believed in the plasticity of the brain and so the next 16 months were devoted to PLAY. Even though my daughter was not yet two, kids from the neighborhood who were 4 and 5 knocked at our door and wanted to play. The fun that went on in our toy room, painting on the walls, smushing clay and playdoh into fun shapes, every cool toy ever made there in the room and ready to be played with, made that toy room "famous" in our neighborhood. Just before her second birthday she was walking...dragged her right leg a bit but WALKING. She used her right arm and hand but had no "pincer" movement. She talked in full sentences, used personal pronouns; if you asked her to draw a picture for you using a red and blue crayon, she would choose the red and blue from the pack and construct amazing drawings. Kennedy Krieger institute opened. We were sent there for "evaluation." After two hours with my daughter, I was told by this group of medical specialists "your daughter has a physical disability and you are trying to compensate by making her intellectually superior." !!! I then asked the doctor this: "So, if every parent of a healthy, normal child invested all of the time playing with and stimulating the brain of their children between six months and 2 years that "I" did, then we would have a nation of geniuses is THAT what you are telling me??? Vaccinations are CRIMINAL and licensed medical professionals who use and support them are worse!! Thank you, Barbara, for being a hero in being our voice out there to end this practice. Next year I will be getting kicked out of my pediatrician's office due to refusal to vaccinate, and I feel helpless and I know I have no rights, even though the vaccine policy is inconsistent with my state law that allows personal exemption. I guess the way to look at it is at least my children rarely go to the doctor, anyway, because they are healthier than most fully vaccinated kids we know, so that is probably another reason why they don't want our business anymore. "We are told it is our patriotic civic duty to get our children vaccinated and ourselves, too. The implication is that we are committing treason if we don’t." Well, for me....treason it is!!! We simply opted out until such time as these products can be sold without needing to manipulate representative governance to do so. In a free market people purchase products because they're effective. In a socialist society, you have to purchase certain products because it's the law. The social score program is here, resist now. Vaccines would have never made it this far without compulsory insurance anyways. If it came down to the dollar or the shot, people would save the dollars. All those scary consequences of not having kids vaccinated, well, nothing happened, all hype. Just stop depending on doctors who do not comprehend the word "treat and cure" and self treat yourself. They have one motive (money). I have not been to an MD since the late 70's and I am still alive. Start studying natural healing, diet, etc and treat yourself. I have been a PA-C for 13 years. I give ALL of my parents unbiased information on vaccines. Where do I find the statistics that actually 'stick'? It is getting crazy how unprofessional Pediatricians are getting. What can I do as a PA-C to learn more? Excellent article and video. I am glad that my children were born in the 70's and 80's, when less vaccinations were given, even then I would not give my children the whooping cough vaccination after seeing a tv documentary about its ineffectiveness and the dangers linked to it. I did get some angry comments from family members even then. New mothers will not see anything like that documentary on tv today, all negative information regarding vaccines are covered up. You need to dig deep and stand up for yourself to find out the truth about vaccines in today's world. I really feel for all new mothers faced with these decisions while receiving one sided information from all mainstream sources. I now watch as my grandchildren get vaccinated regularly and just hope that they will not have adverse reactions to the vaccines. I have tried to talk to my son and daughter in law about it but they get very angry. Vaccines are the greatest medical fraud ever conceived. The entire program has devolved into a criminal operation, being operated more like organized crime than medicine. They use fear and coercion to sell their toxic products that they have no liability for. For instance, Peter Hotez, a notorious vaccine pushing doctor, stated in the LA Times that "Measles is a dire price to pray for leniency about vaccination, Hotez cautioned, calling the illness “one of the most serious infectious diseases known to humankind.” What a massive lie that is. Before the measles vaccine was introduced in 1963, the mortality rate was .23 deaths per 100,000 cases of the measles, roughly one death per 400,000 cases. Hardly something to fear. Yes, our children need protection. Not from what used to be common childhood illnesses that have lifetime, natural immunity and bolsters their immune systems, but from an out of control pharmaceutical industry that is blinded by greed, and using corrupt legislators across the country to attempt to eliminate all rights to refuse worthless vaccines, that do nothing but harm. Yes, there is a battle going on, for your medical freedom. 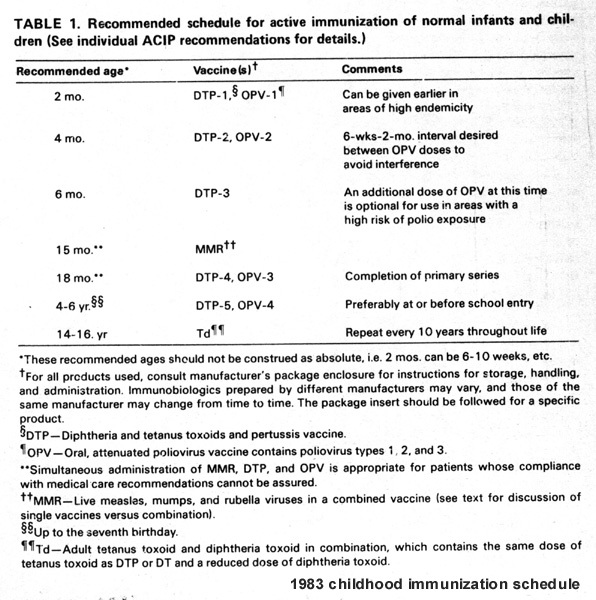 Many pediatricians are offered sizeable bonuses should their patients adhere to the CDC vaccination schedule. One example was patient compliance rate of 63% got one Doctor 400 dollars per patient yielding 400,000 dollars per 1000 patients. Fall below 63% and he gets zip. Thats probably why they want to get rid of patients who wont comply with the schedule.